Boxing legend George Foreman says "all is well" after a fire ignited inside his Texas home Sunday night. 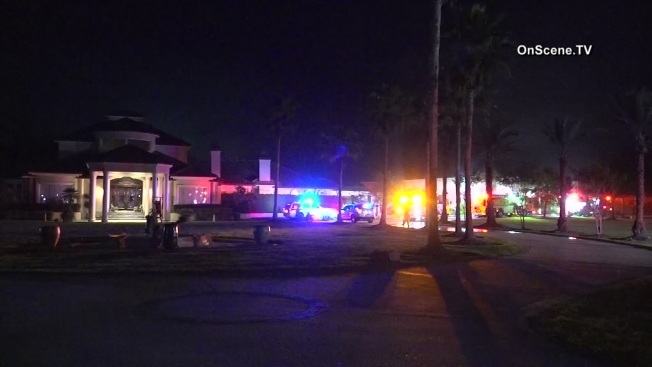 KPRC-TV in Houston reports the fire happened inside a garage attached to Foreman's home in Huffman. Firefighters searched the home to find what was burning and quickly extinguished it. Firefighters set up fans to help vent smoke from the expansive garage. None of the 40 or so vehicles in the garage were damaged, officials said. "Don't worry all is well, dogs are barking and I don't mean my feet," Foreman tweeted. He also thanked firefighters from Huffman and surrounding cities. Firefighters have not yet said what may have caused the fire.